Spotlight on Steve Guthrie (November 2016) - PeopleService, Inc. If we only had one thing to say about Steve Guthrie, we would say he’s as adept with a chemical equation as he is with a football playbook. Region manager, teacher, coach and family man, Steve does it all. Whether it’s helping coach the high school football team, teaching students in the classroom or new operators in the field, Steve loves to pass along his knowledge to everyone around him. An employee owner of PeopleService since 1995, Steve is an expert at solving the challenges he encounters, tapping into years of experience and a depth of knowledge about water, chemistry and engineering. It’s safe to say that Steve’s got brains! When he’s not on the job, in the classroom or the football field, Steve enjoys spending time with his wife and three kids. 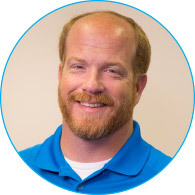 Learn more about Steve and connect today.